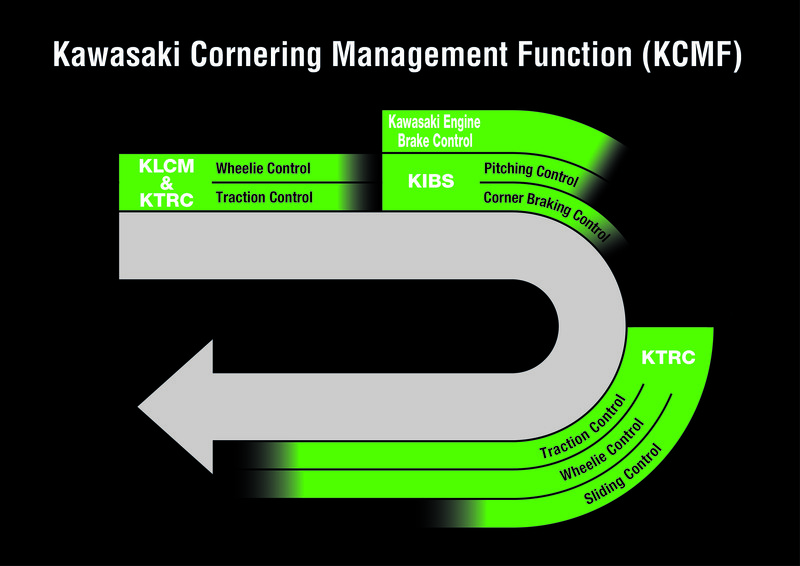 KCMF (Kawasaki Cornering Management Function) oversees multiple engine and chassis electronic management systems to facilitate smooth cornering. 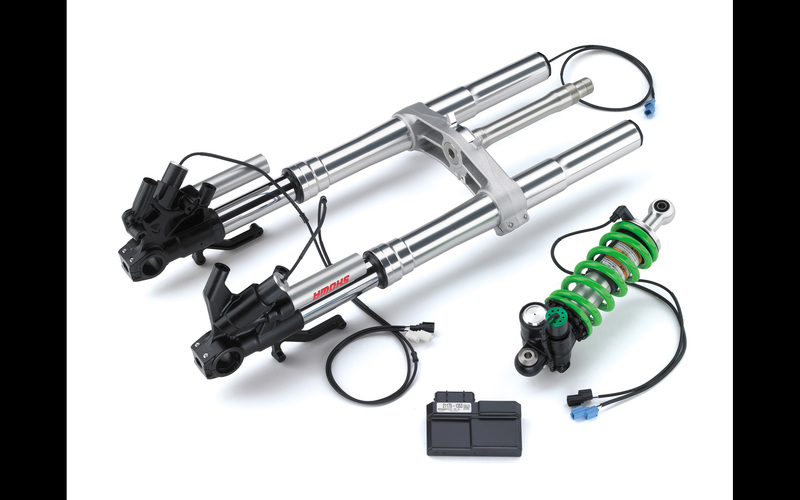 Kawasaki's KX™250F was the first mass-production motocross bike to feature Dual Injectors. 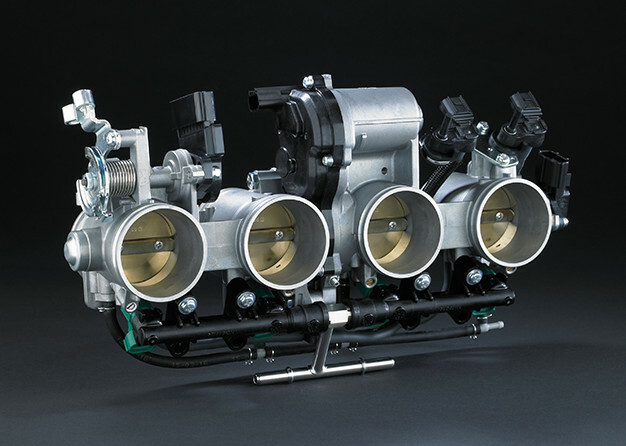 One injector is located downstream of the throttle valve (where injectors are located on standard FI systems) and a second is located upstream of the throttle valve, close to the airbox. The two injectors split their roles: operating at different rpm ranges, they ensure both smooth, instant response at low rpm and high peak power as the revs climb. 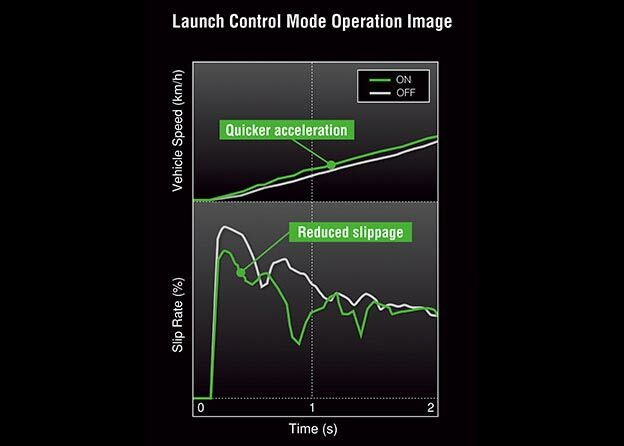 For cases that call for low-rpm operation, like immediate acceleration off the start and precise control coming out of corners, primary operation falls to the downstream injector. Because it is positioned close to the combustion chamber, sprayed fuel can be supplied to the engine quickly, resulting in sharp response. Conversely, when high power is the priority, primary operation switches to the upstream injector, which focuses on high-rpm applications. Its location farther away from the combustion chamber means that the fuel has a longer travel time. This allows more time for the fuel particles and air to mix, as well as allowing the mixture to cool and condense. This means that when more power is needed, the cylinder can be filled with a greater quantity of a high-quality mixture. 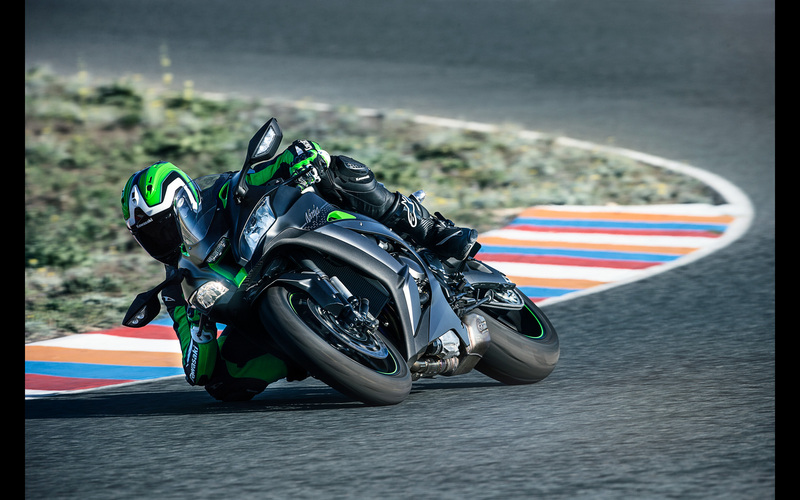 Kawasaki developed KIBS to take into account the particular handling characteristics of supersport motorcycles, ensuring highly efficient braking with minimal intrusion during aggressive sport riding. 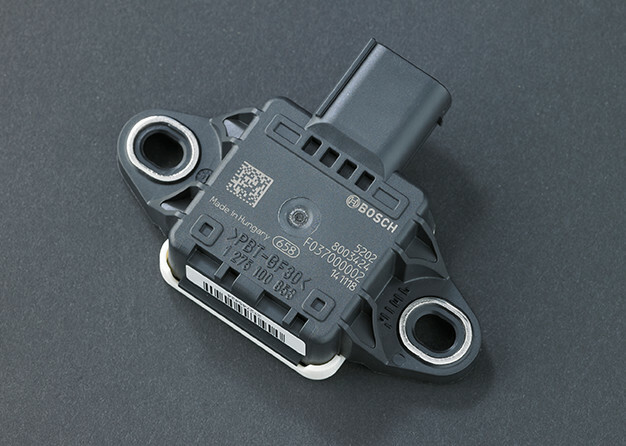 It is the first mass-production brake system to link the ABS ECU (Electronic Control Unit) and engine ECU. 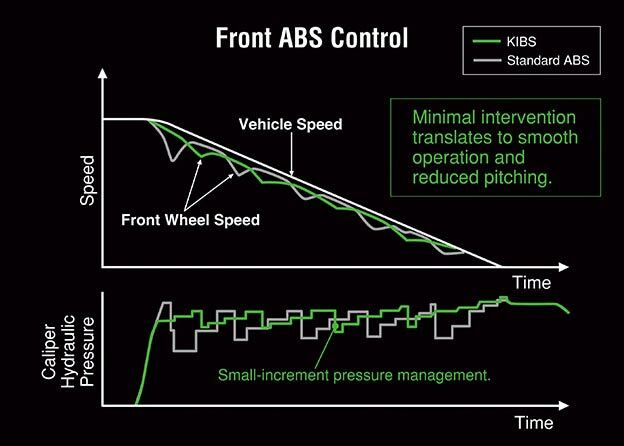 In addition to front and rear wheel speed, KIBS monitors hydraulic pressure of the front brake caliper(s), throttle position, engine speed, clutch actuation and gear position. 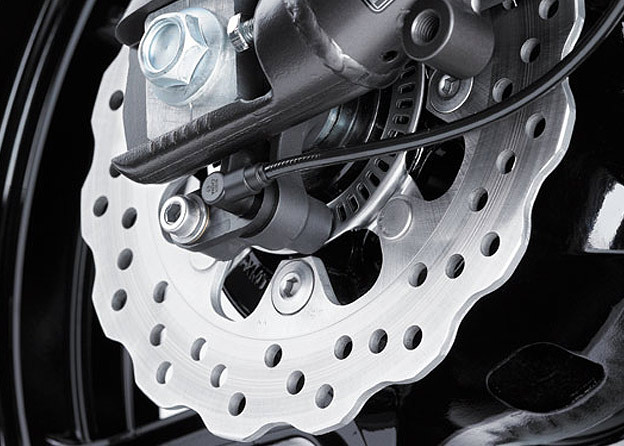 This diverse information is analyzed to determine the ideal hydraulic pressure for the front brake. 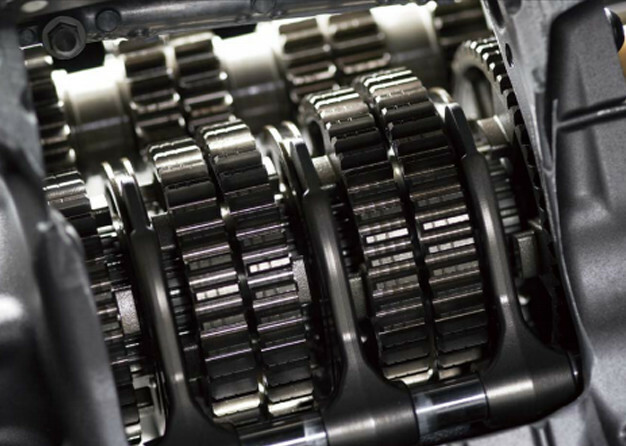 Through precise control, the large drops in hydraulic pressure seen on standard ABS systems can be avoided. 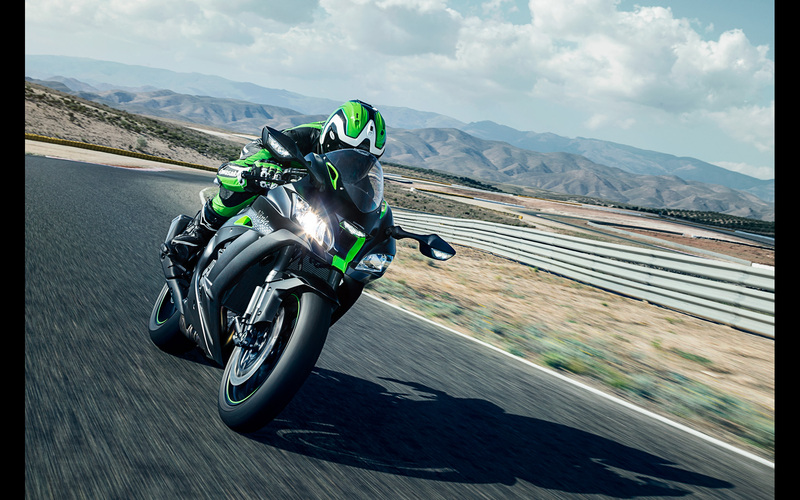 Additionally, the tendency for the rear wheel of supersport models to lift under heavy braking can be suppressed, allowing the rider to maintain control of the rear brake when downshifting. 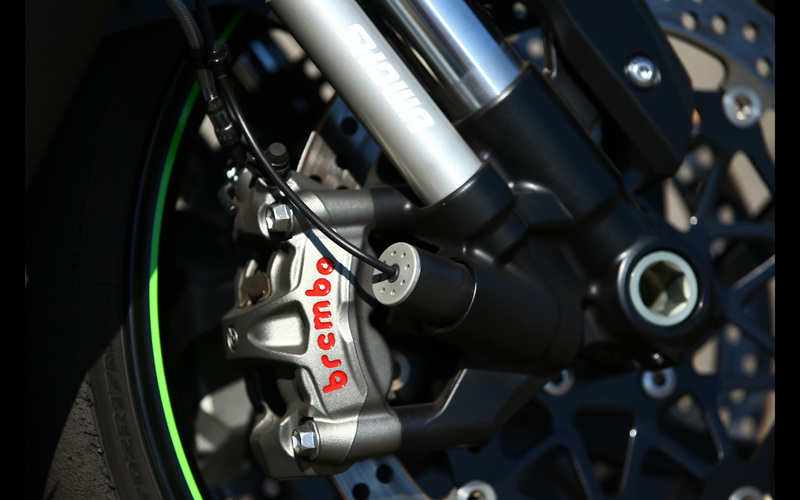 Designed to help riders maximise their acceleration on the circuit by enabling clutchless upshifts with the throttle fully open, KQS detects that the shift lever has been actuated and sends a signal to the ECU to cut ignition so that the next gear can be engaged without having to use the clutch. Depending on ECU settings (or when a race kit ECU is used), clutchless downshifts are also possible. 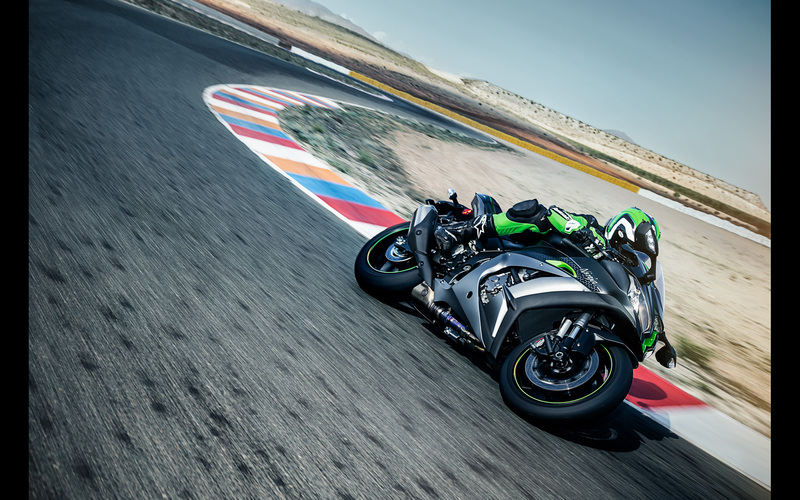 Power Modes allow available power and throttle response to be selected to suit conditions. 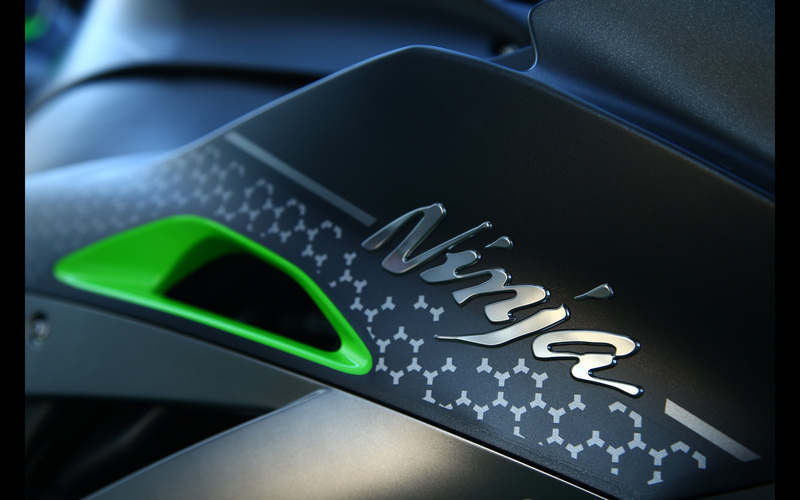 On the supersport Ninja® ZX™-10R, three modes are available: Full, Low (which limits power to about 60% of Full) and Middle mode, which falls between the two. 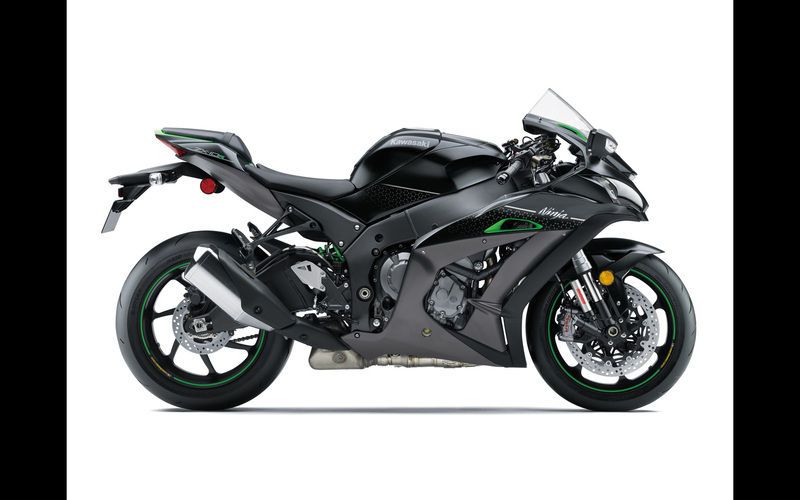 More than a simply bisecting the Full- and Low-mode power curves, in Middle mode, performance characteristics vary depending on engine speed and throttle position. 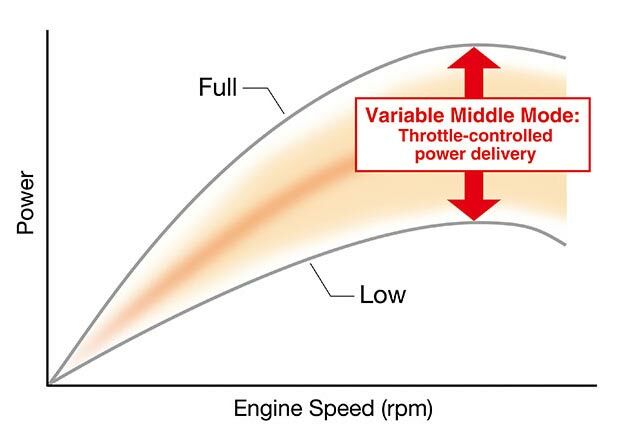 At less than 50% throttle actuation, engine performance is essentially the same as in Low mode. 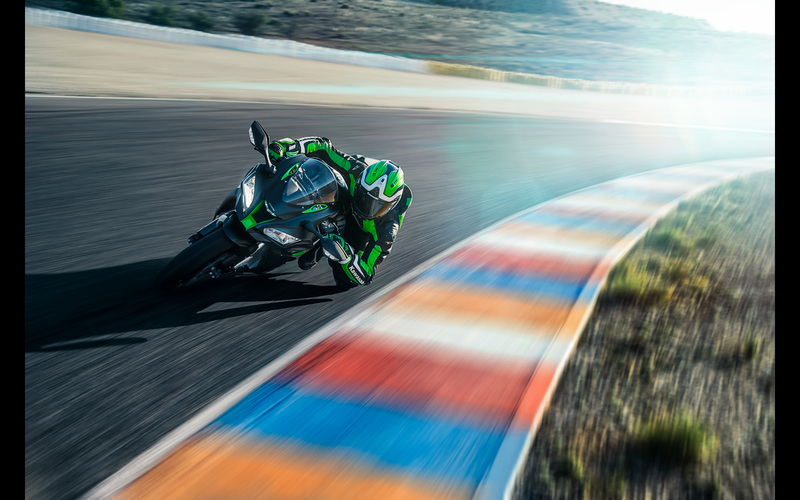 However, opening the throttle past 50% allows performance up to that of Full power to be accessed. This advanced engine management system allows mild engine character for normal riding situations, with the option to tap into greater power for a quick burst of acceleration. Variable Middle Mode offers riders the ability to alter engine performance and delivery through conscious use of throttle control (either for ease of control when riding in the city, or for greater response when the rider calls for quick acceleration). 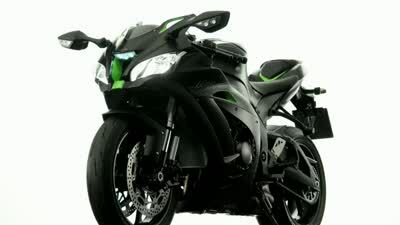 This kind of technology allows supersport machines to be enjoyed in a broader range of situations. 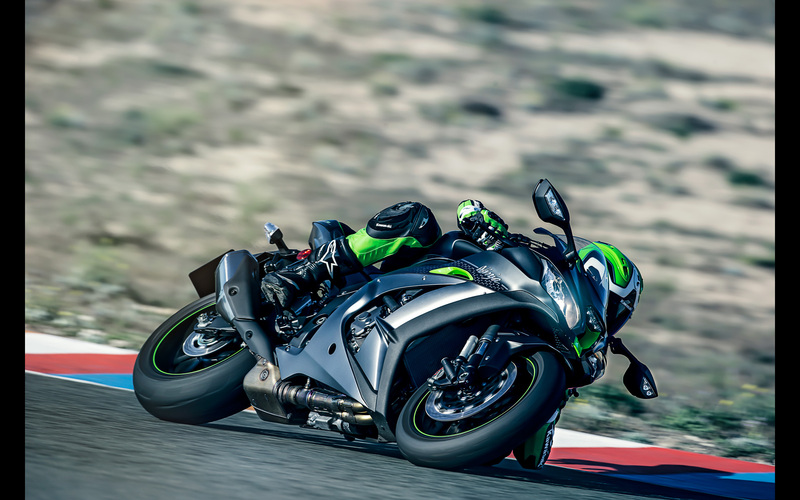 S-KTRC, Kawasaki's original predictive traction control, uses the same base technology as the Kawasaki works machines that competed in MotoGP, the pinnacle of motorcycle racing. This technology continually controls the rear wheel slip that occurs when power is applied, ensuring optimal acceleration. In general, maximum forward drive requires a certain amount of slip (usually between 20-30% slip ratio, i.e. the rear wheel is turning 20-30% faster than the front). 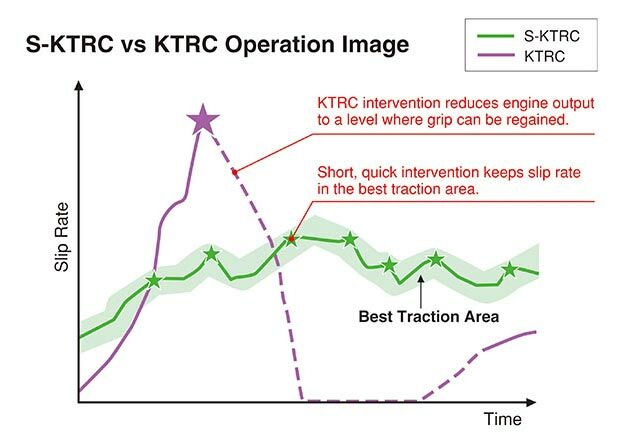 To ensure the most effective transfer of power to the tarmac, S-KTRC monitors the slip ratio in real time, and governs engine power delivery to optimize rear wheel traction. S-KTRC monitors a number of parameters, including front and rear wheel speed, engine rpm and throttle position. Conditions are confirmed every five milliseconds, at which time the system looks at each of the parameters, as well as their rate of change. 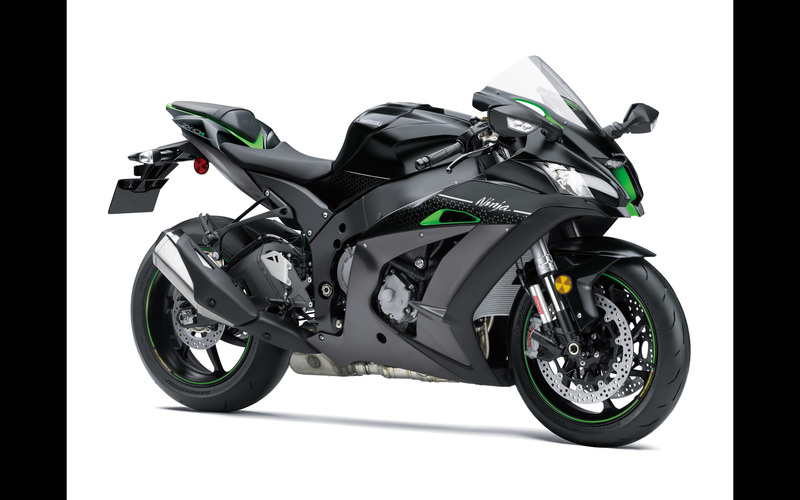 This unique Kawasaki method makes it possible to interpolate and predict how the bike will behave in the next instant. 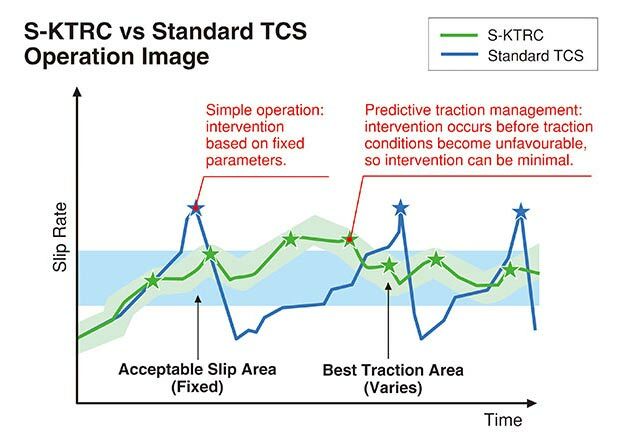 Unlike 1-mode KTRC, which cuts power as soon as rear slip is detected, S-KTRC uses minimal power drops to ensure the slip ratio for optimal traction is maintained. 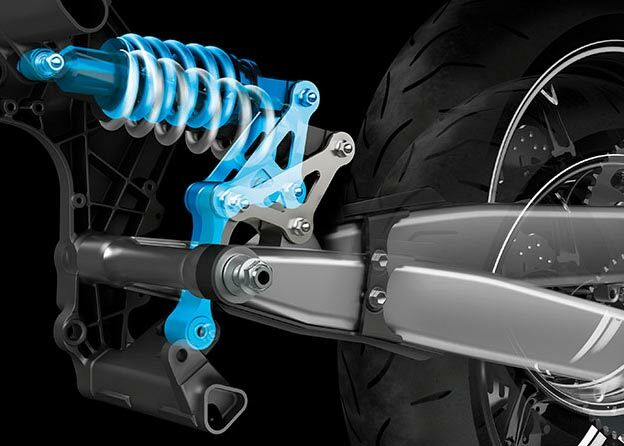 Because its goal is to maximize acceleration, as long as sufficient forward motion is detected, this sport riding system will allow power wheelies as the bike comes out of corners. In motocross racing, getting a good start is critical. A few tenths of a second can make the difference between getting the holeshot or getting buried in the pack. In slippery conditions, getting the maximum drive from a motocross bike requires precise control of both the clutch and throttle. 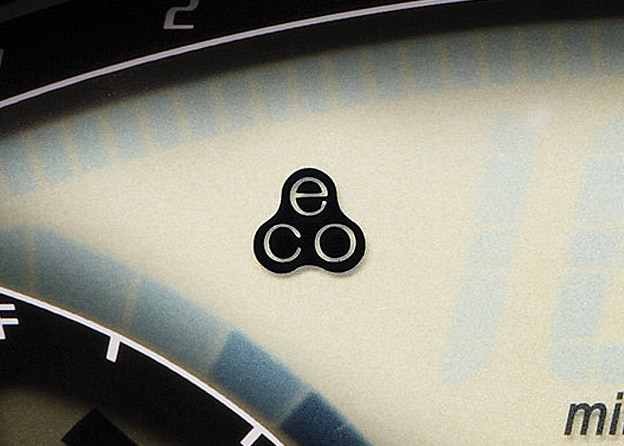 Launch Control Mode helps riders get out of the gate quickly by complementing high-level technique with engine management. 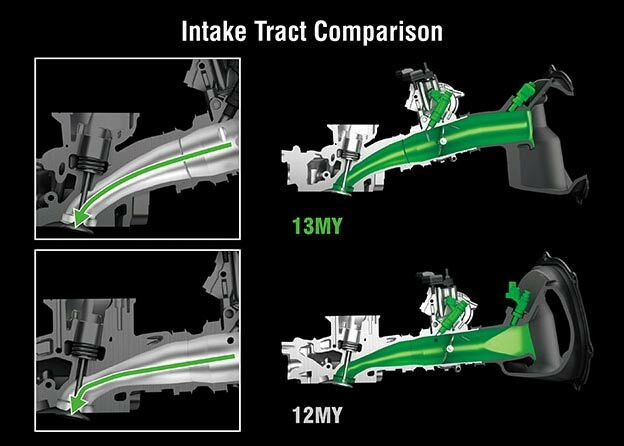 Featured on a mass-production motocross bike for the first time on Kawasaki's KX™450F, the system activates a separate engine map designed to get a more efficient start off the line. 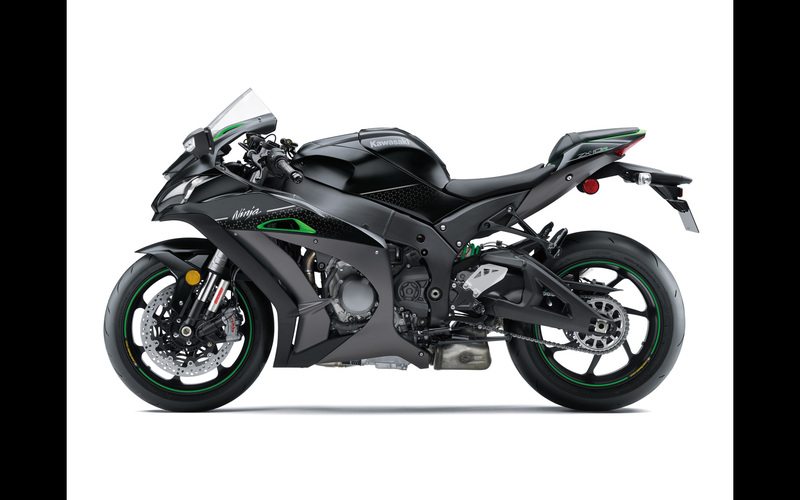 The system is designed to the same specifications as that used by Kawasaki Factory racers competing in the AMA Supercross and Pro Motocross championships. Launch Control Mode is activated simply by pressing a button on the handlebar. The Launch Control map slightly slows down the ignition timing to help tame the engine's strong torque and reduce wheel-spin off the start. 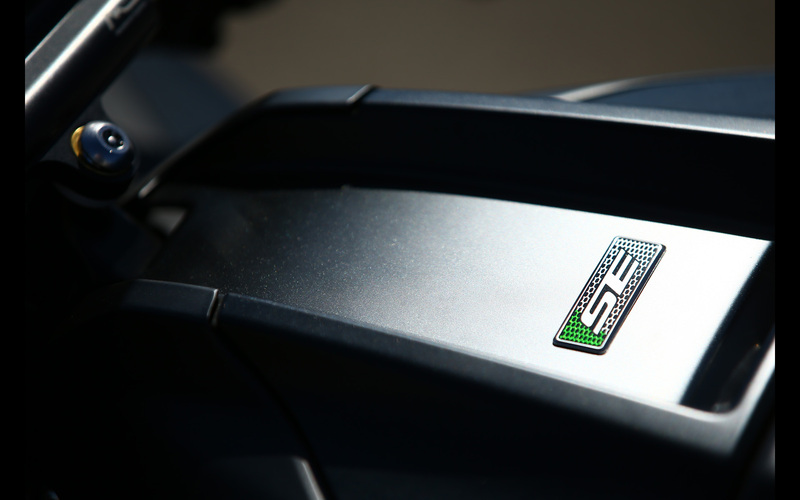 Launch Control Mode is only active in the first two gears off the start, disengaging and returning to the standard engine map automatically once the rider shifts into third gear. The system gives riders a great advantage out of the gate and puts them in a better position to control the race.